It was not immediately clear if the protest would last beyond Tuesday, nor was it known how much production was being lost by GM. 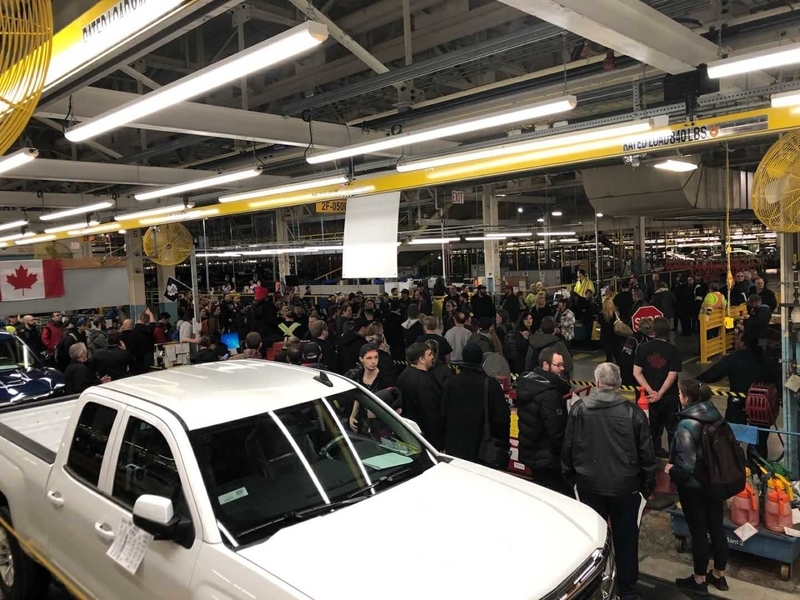 The Oshawa plant builds the Chevrolet Impala and Cadillac XTS sedans on a one-shift line, and it completes final assembly on previous-generation Chevrolet Silverado and GMC Sierra pickup bodies on another line that operates on two shifts. GM said Tuesday it would continue with its plans to stop allocating product to the Oshawa plant beyond 2019, rejecting Unifor’s proposals to save the plant from closure.